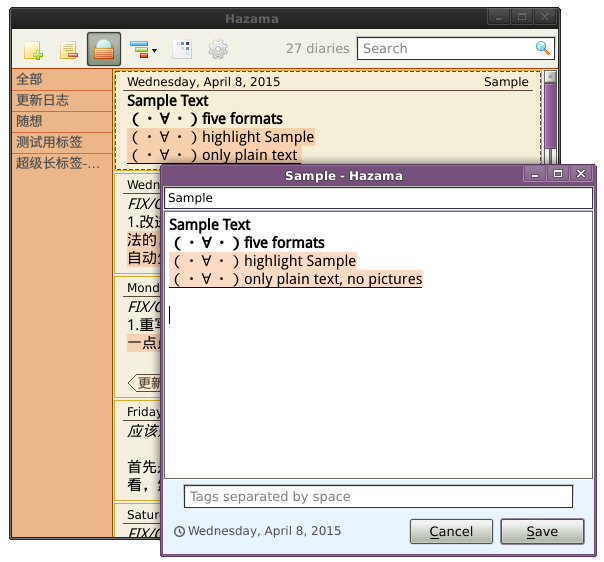 Hazama is a simple and highly customizable application for keeping diary. 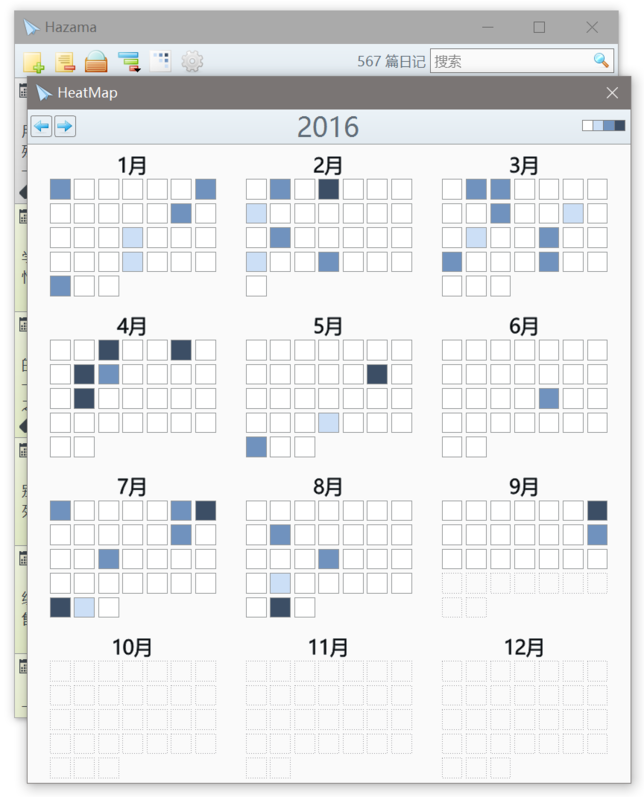 There is no calendar but a big list that contains preview of diaries. 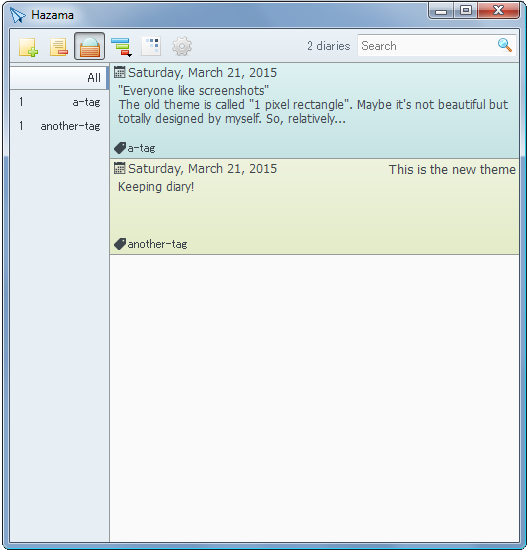 If you have been journaling using note-taking software, this is for you!